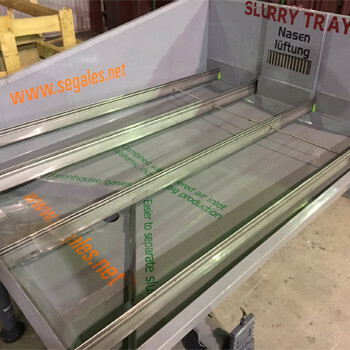 Airesa slurry trays are placed under the grilles in all the production phases on the farm.The slurry can then be emptied weekly. 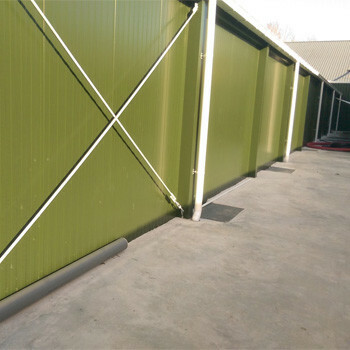 Combined with the ventilation system, the welfare of the animals and the environment is improved. Healthier air and increased livestock performance. Fewer problems evacuating solids, which are increasingly dense. Any slurry treatment applied will be more effective and less costly. 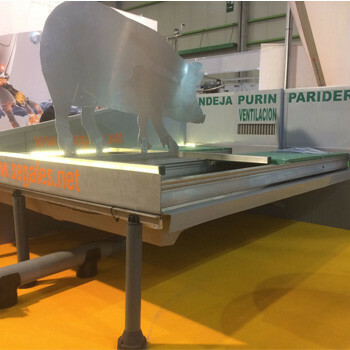 By separating solids and liquids, storage space is reduced by 15-25€ (5-10% more than in a farm without trays); which is the space occupied by the solid fraction. 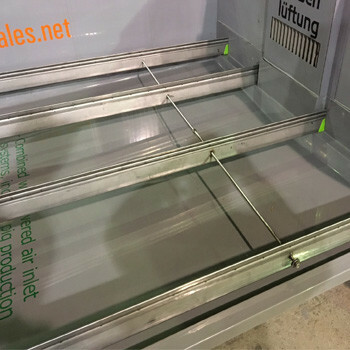 The air chamber created between the ground and the bottom of the trays becomes a temperature regulator space. 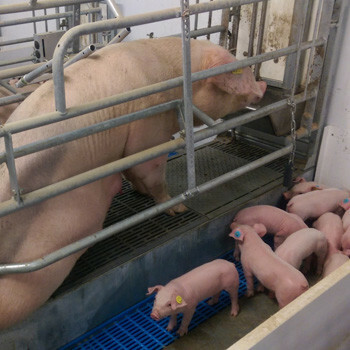 With a suitable ventilation system, the sows breathe fresher air, which directly affects an increase in productivity.